Virginia Beach Congregation Kicks off its Campaign with over $1.6 Million Already Raised! Virginia Beach, VA – Spring Branch Community Church (SBCC) kicked off its Legacy campaign at the beautiful Virginia Beach Convention Center. With a packed room of 300, Michael Simone, lead Pastor along with Co-Chairs Stephane Clark and Jerry Galanides laid out the 5-year vision for Spring Branch. Spring Branch celebrates 24 years in ministry in the Virginia Beach area with continued plans to grow its mission and ministries, not only locally but worldwide. Currently, the church works closely with Judeo Christian Outreach Center, Jacox Elementary School and other local organizations. In addition, SBCC has established two world ministries, OrphanNetwork, working with children in Nicaragua and Togo Africa, helping people of the region to have clean drinking water. The night was filled with great conversation and laughter, but the highlight of the evening was the 5-year vision that was clearly laid out to those in attendance. Stephanie Clark, Co-Chair and founding member of the church at the young age of 24, spoke passionately about the vision and joy she has experienced these many years. Jerry Galanides, Co-Chair, could not be with us at the event but joined us live from Chicago to express his desire to build community. Spring Branch’s vision over the next five years is to grow and expand its mission and ministry, build strong community through personal home visits, and eliminate or reduce its current debt. “In order to do this, we need to link arms, serve our church family and the community around us, and give sacrificially. We can only do this if we do this together. The Lord will honor our efforts, as we honor his beloved church. 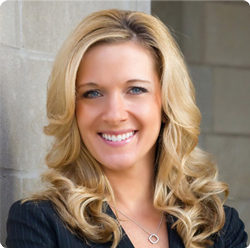 Through His strength, power and guidance, this dream is attainable,” said Stephanie Clark, Co-Chair. 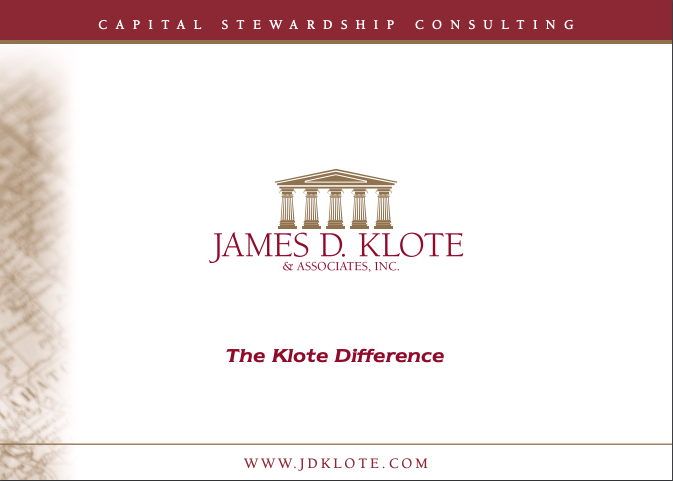 “Our Legacy campaign with James D. Klote & Associates, Inc. has been a defining moment in the life of our church! This is the best run campaign I have experienced in over 20 years of ministry,” stated Senior Pastor Michael Simone. Before closing out the evening with the uplifting message from Pastor Simone to dream big, the children of Spring Branch Community Church revealed for the first time that the church has already raised over $1.6 million. This is more than what they raised in their last campaign and this current total is with only 47 families pledged. “Holy Spirit You Are Welcome Here” was the song that closed the evening and lifted up the congregation. “The energy and excitement was high and a vision was cast. Congratulations to everyone at Spring Branch for your hard work over the many years. You are off to a wonderful start of the next chapter in the life of the church,” said Mel Kalagian, Campaign Director of James Klote & Associates. “Give yourself to the Legacy to what God is calling you to do in you and through you. Dream Big! I call you to greatness to say ‘YES!’ to live your defining moment. Don’t let it pass you by. Grab it and embrace it. Ask God what can I do and what can I give to be part of the Spring Branch Legacy. Dreaming big will be our Legacy,” said Pastor Simone.